Hunting for a new business telephone system or an all-encompassing communications platform can be nothing short of intimidating if you’re new to the world of telecoms and the many acronyms it uses, like SIP, VOIP, PSTN and ISDN. So – what do they all mean? You’ve probably heard of ISDN at some point in either your personal or business life. Integrated Services Digital Network, or ISDN for short, is the set of services that have traditionally enabled the transmission of voice, video and data services over the PSTN (public switched telephone network). ISDN has been the backbone of UK voice communications for the last forty or so years, but BT have announced that, by 2025, they will be switching off their ISDN network entirely. The industry consensus is that the technology will be obsolete within five years. This news has led to an unprecedented surge in UK companies moving to IP-powered technology and services, not only to future proof their business communications, but also to realise significant monthly cost savings in the process. These new IP systems utilise internet connectivity to route calls to their destination, bypassing traditional phone lines and charges. At the forefront of this ‘coms revolution’ we’re seeing two technologies emerge as attractive options for businesses of all natures and sizes – IP telephony (sometimes referred to as Cloud or Hosted Telephony) and SIP trunking. But what are they, how do they work and why are businesses choosing to transition to them? The shift to IP Telephony for business telephone systems is already in full swing, with business owners replacing their traditional PBX telephone systems with a ‘cloud’ or ‘hosted’ alternative in IP telephony. These new systems utilise VOIP (voice over IP) technology to transmit voice and data over the internet. IP telephony differs from typical PBX systems found in the offices of yesterday, as they now essentially place the hardware of the telephone system into the cloud. In other words, your telephone system’s hardware and interface is hosted on a server. This signals the end of substantial capital outlay on the system initially and on costly onsite PBX maintenance. What’s more, IP telephony is enabling businesses to realise considerable monthly savings over existing BT lines and call charges, with most services offering free UK business calls and unlimited internal calls – even between different offices and sites.  Here at BDM Coms, we’ve seen businesses cut thousands of pounds off their monthly cost-base with the introduction of IP telephony. If your business is looking to refresh its telephony and capabilities we’d strongly recommend you consider and evaluate the benefits and savings that a hosted, cloud-based system like Horizon could offer you. But what if you’ve only recently purchased a PBX system, still need to depreciate it on your balance sheet for the next few years but you want to gain access to the significant savings that IP services can offer? The answer - SIP. So what is SIP? Well in technical terms it stands for Session Initiation Protocol and it converts analogue phone lines into digital lines. In simple terms SIP, or SIP Trunking, offers us a means of providing Internet connectivity to traditional PBX systems removing the need for expensive ISDN line rental. This can mean big savings for large companies with multiple offices and many extensions. SIP Trunks are also far cheaper per channel in terms of line rental than ISDN, plus most providers, including us, offer free inclusive minutes with SIP trunks too. What’s more, because SIP trunks require less physical, onsite infrastructure to operate, the ongoing maintenance costs for SIP-enabled PBXs are reduced. Whether you opt for hosted IP telephony or go down the SIP route, you can rest assured that both offer solid disaster recovery options that ensure business continuity. If your system goes down, call traffic can be instantly rerouted to a different line, a different office or to mobiles. The countdown to 2025 has now well and truly begun, but don’t wait until there’s a mad rush to switch to the next generation of IP phone systems. Beat the competition; make the switch and start saving from today.